At this year’s Coachella, one of the hippest multi-performer concerts in the world, Prince covered the Radiohead song Creep. Not surprisingly, within hours, YouTube had several cell-phone video clips of Prince’s performance. For Prince fans it will also not be surprising to know that Prince’s label, NPG Records, immediately ordered all of the clips of Prince’s performance removed from YouTube. According to the Associated Press, this came as quite a shock to the actual songwriter, Radiohead’s Thom Yorke. According to Entertainment Writer Jake Coyle, upon hearing that NP G had removed the clips, Yorke stated "[Prince] blocked it? . . . Well, tell him to unblock it. It’s our . . . song." The article does not go into detail as to what words the ellipses replace, but I would assume they were quite colorful. Prince and Radiohead could not be on more opposite ends of the spectrum on the issue of making music available online. Prince is notoriously anti-downloading, constantly having his minions scour the Internet for any unauthorized use of his work. 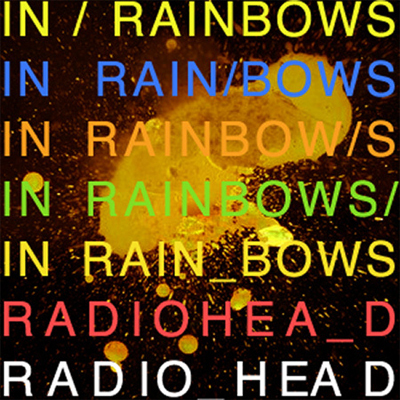 Conversely, Radiohead released its latest album, In Rainbows, online for free (although I paid $$ for my download). I like both Radiohead and Prince quite a bit. I am crossing my fingers that Yorke meets with Prince, leading to a purple epiphany generating more, and more widely distributed, music from both camps. Perhaps fans might even see a collaboration down the road. For the full article, check out Yahoo News.